If you and a few friends want to find an alternative to a gym session, or need an excuse to spend an hour at the golf facility, then ‘Par 18’ is great fun and a great way to practise. 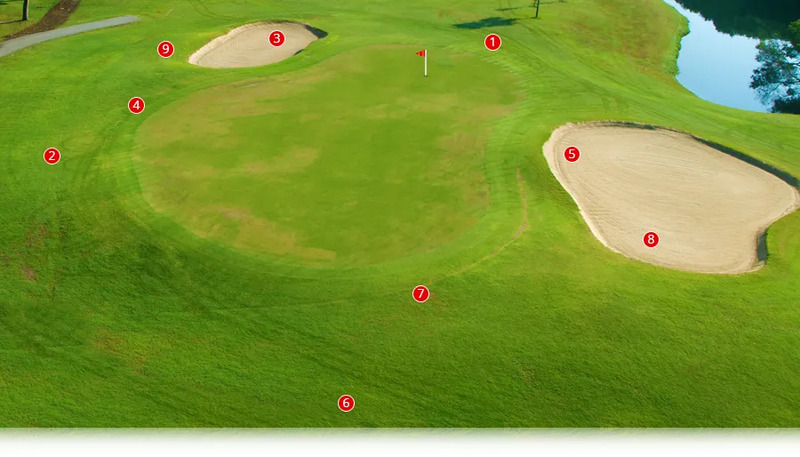 Three tougher shots (a long chip, a long greenside bunker shot, a pitch over a bunker to the flag). Hole out each time (e.g. short-game shot and putts) and keep your total score. if you have questions or want advice.